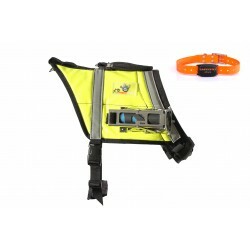 Dog vest in one adjustable size for midsize dogs and up (size table below). 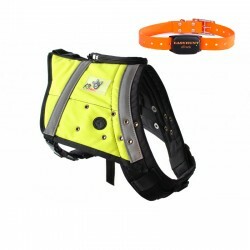 Durable material in Codura with reflective signal fabric, orange and lime green. Newly designed dog vest for gun dogs. Not to be confused with vest of lesser quality. 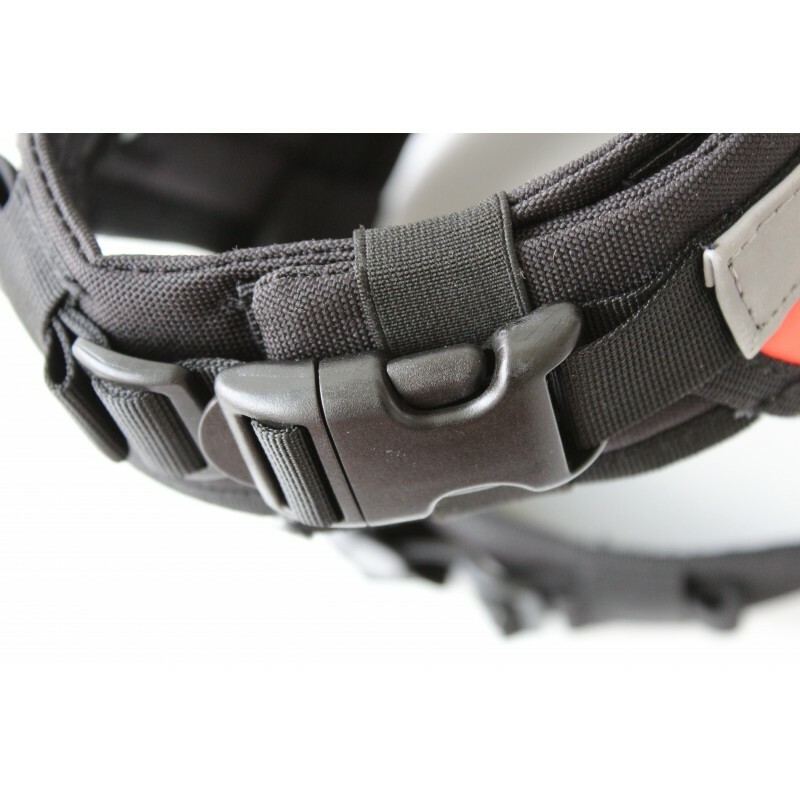 Choose in the drop-down list to right if you want to have the vest equiped with mounts for camera-cage or not. The vest is made up of different layers of fabric making it very strong and comfortable for your dog. 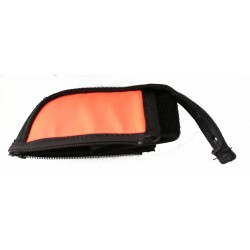 The base material is Codura, more commonly used in protective gear for motorcyclists, a very tear resistant fabric. 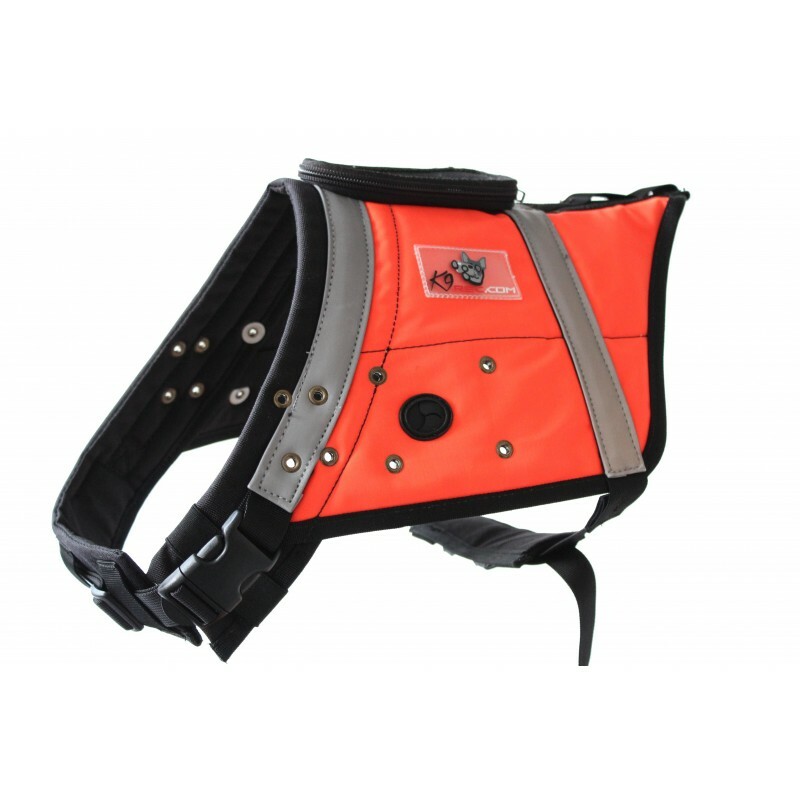 The pliability of the vest comes from the conformable vest straps, these bind round the neck and the chest region. 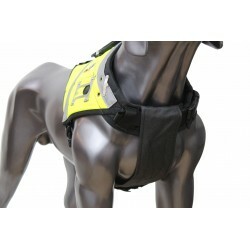 Other dog vests may sometimes bind round the abdominal area of the dog rather than the chest region, something that many dogs feel uncomfortable with. 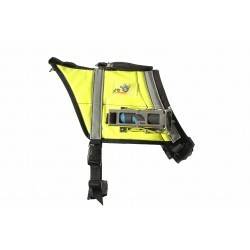 The vest is equipped with quick-fix buckles in strong and durable plastic. 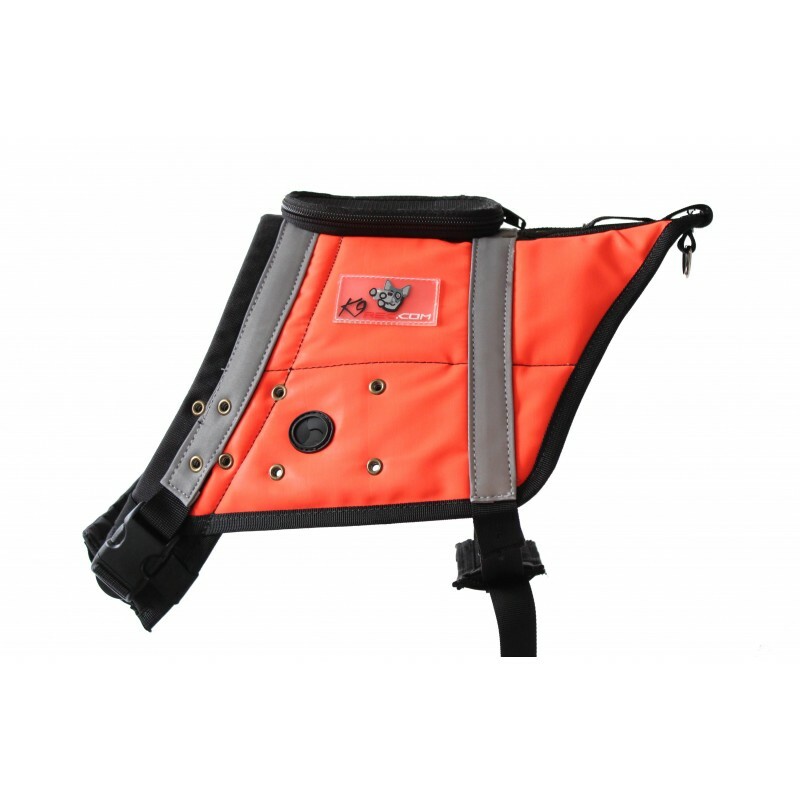 The buckle is adjustable and can be moved along both neck and chest strap, making the vest suitable for dogs in a wide range of sizes (see size table tab). 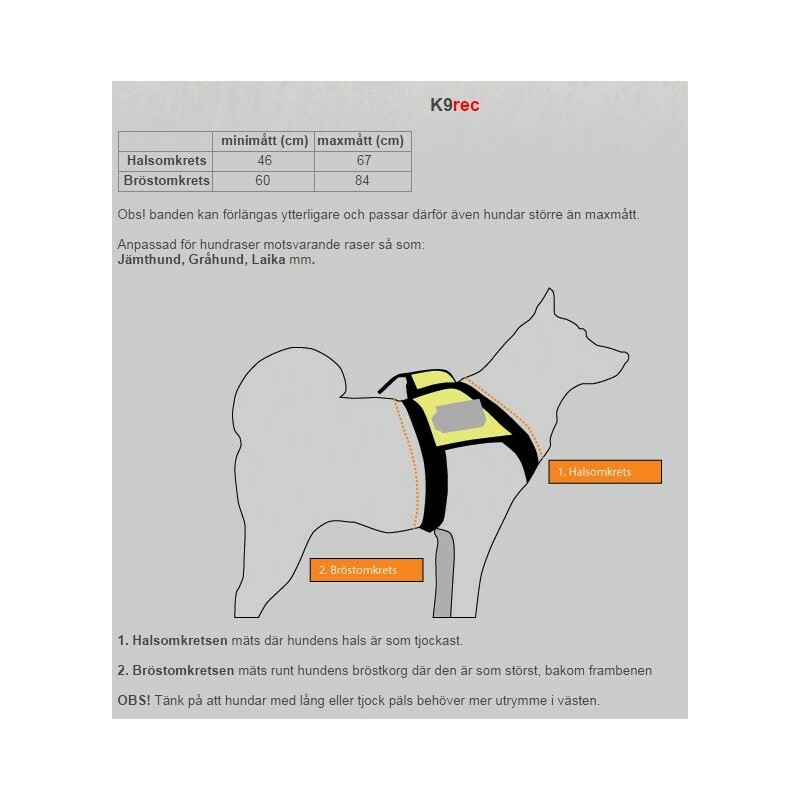 The vest will not twist and turn such that it might end up under, or at the side of the dog, a common problem for vests with longer dimensions. 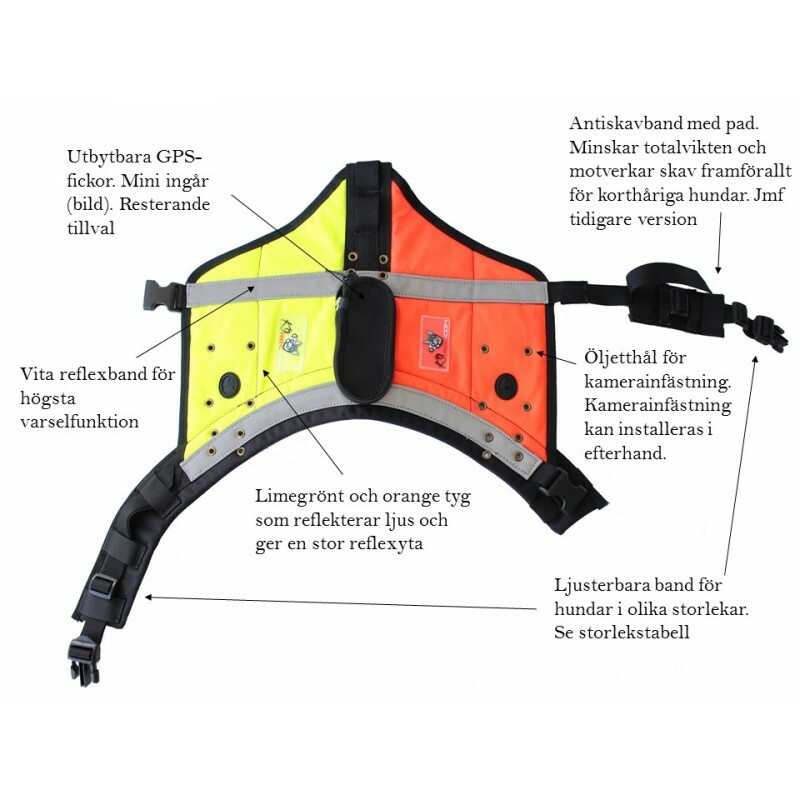 Reflective signal fabric with incorporated micro glass beads. Color lime green on the right side, and orange on the left side. 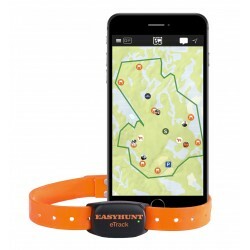 White, super reflective bands along neck and chest. 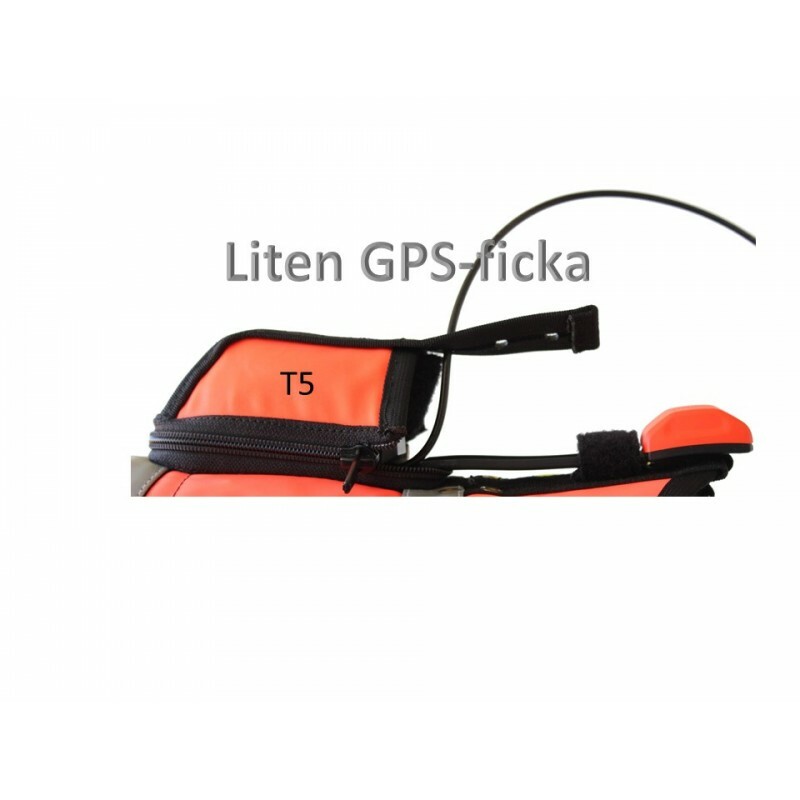 The vest can be equipped with different sizes of GPS-pockets, these are made with two part zippers and therefor exchangeable. 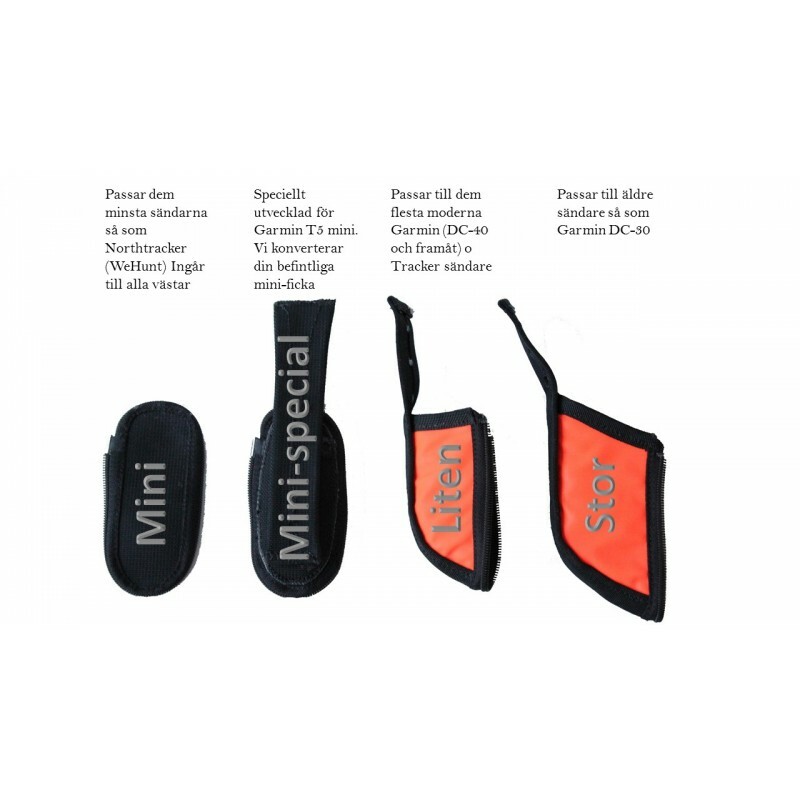 The types are: mini-pocket, mini-special, small and large. 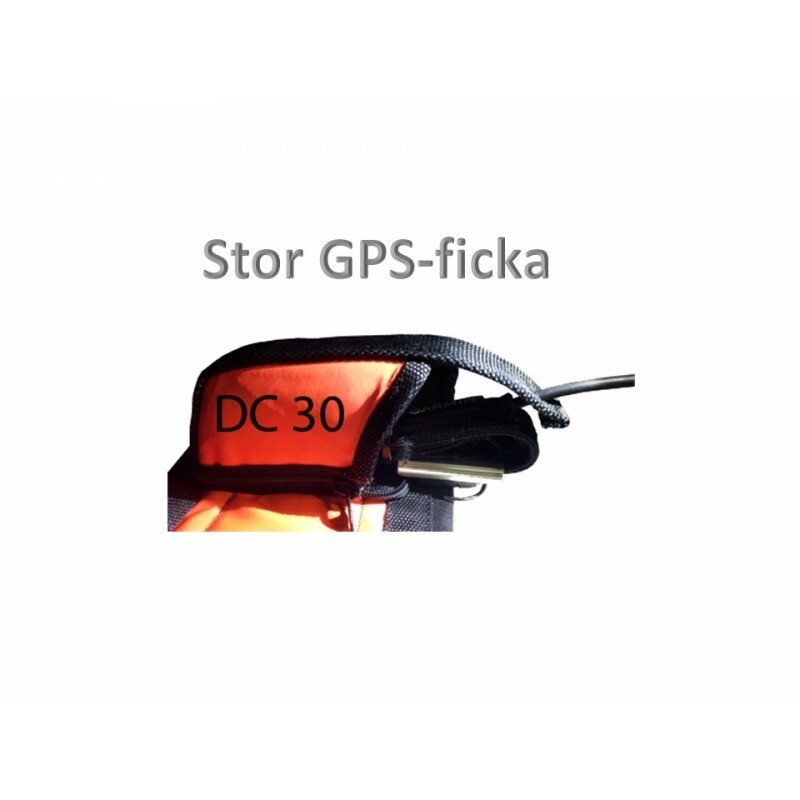 For more info regarding GPS-pockets see the GPS-pocket tab below. 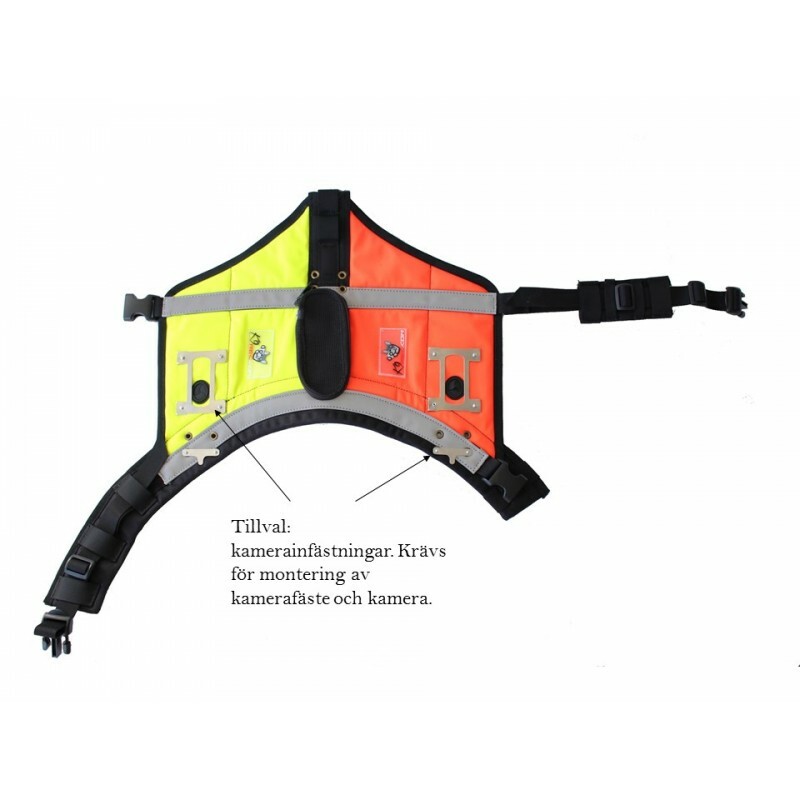 Last but not least, the vest is designed for the markets most durable and complete camera solution. We provide camera cages that are specific to the brand and model of the camera in question. Our camera cages are branded EV for Ehanced View. 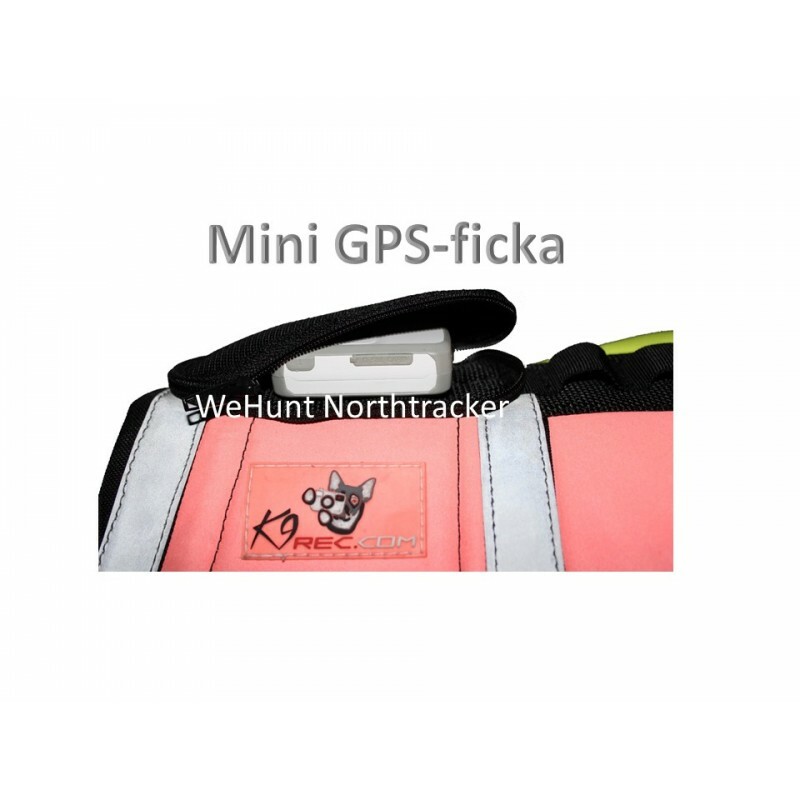 These are slightly outwards angeled cameras that allow the fish eye lenses of an action camera to capture more of the action in front of the dog, rather than the dog itself, or its ear!!! 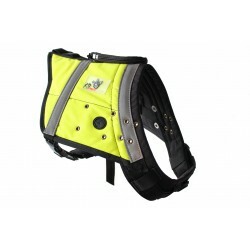 This a one of a kind feature that you will not find with any other dog vests. 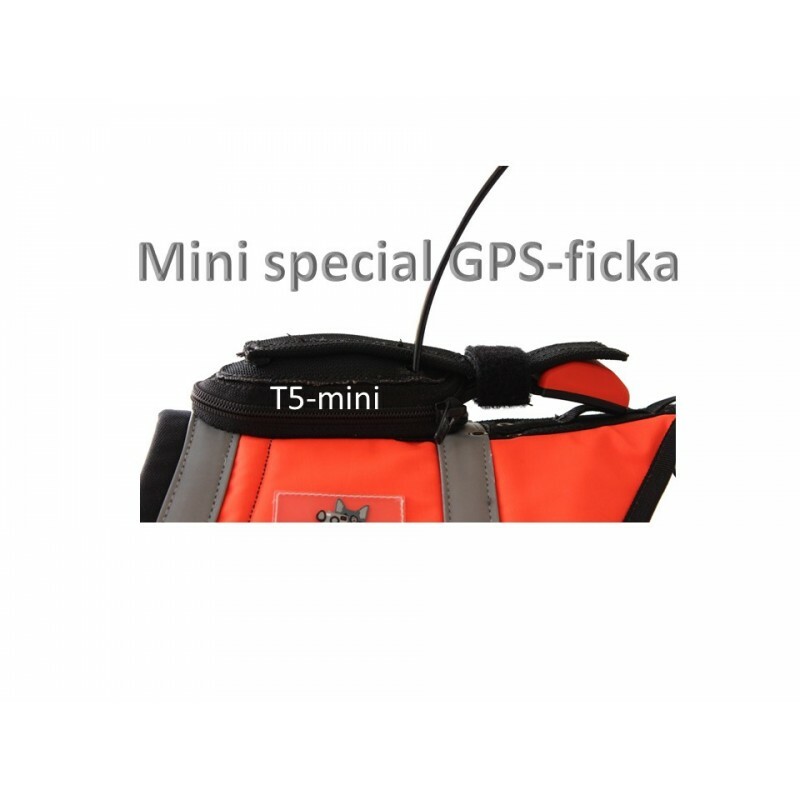 See accessories tab for products such as memory cards etc.